Today I paid a flying visit to Mouldsworth Shooting Club in Cheshire for the UK unveiling of the new BanGo system. It's basically like shooting clays that you then send your dog to retrieve. The target is a dummy duck, made of tough plastic. It's fired from a carousel type launcher, similar to an automatic clay trap, with a remote release. There's a rubber balloon clipped to the duck's neck and filled with flour, so you see a puff of white if you hit it. So you step up to the stand, call for the bird and shoot it just like a clay. If you hit and the balloon bursts, you score a hit (half points for a second-barrel kill). Even if you miss, of course, the birds falls to earth - or into the water if that's how the course designer has set it. If this was clays, you'd pick up your score card and move on - but now the fun starts! You have to send your dog (which naturally has been sitting attentively by your side marking the birds!) to retrieve each bird, and the retrieves are timed and scored. It was great watching the fun in the lovely surroundings (and beautiful weather) of Mouldsworth. Despite a certain amount of confusion, and some hiccups with the launchers, the shooters certainly enjoyed it, although not as much as the dogs! Mike and Richard (pictured) say they'll be running the event at Game Fairs throughout the summer, as well as running some corporate days etc. Check out their website www.bangomaster.co.uk for details of where and when. On the way home, I dropped in to see Mike Yardley - who has been adding to his collection of shooting memorabilia and showed me some lovely old flintlock pistols he bought at an auction lately. He also gave me this rather splendid knife, telling me that he'd liked it so much he bought six! It's a Gerber Air Ranger, designed by Bill Harsey, with a lightweight machined aluminium handle in a lovely light blue finish. It has a 3.2in semi-serrated clip-point blade, with a liner lock. A thumb stud allows single-handed deployment and it has a pocket clip. This is one of those knives that just feels right, the blade is a really useful, practical shape, and the knife is pleasing to look at. Thanks Mike! We're already getting complaints about Jeremy Clarkson fooling about with a shotgun on Top Gear's 'Ground Force' spoof for Sport Relief. Looking at the video, Clarkson's gun handling looks safe enough - but a lot of readers feel his laddish attitude sends the wrong message about guns and shooting. On the plus side, there's something to be said for a high profile, popular character like Clarkson being seen to have fun shooting, with no hint of the usual negative associations. Going through a drawer, this old penknife brought back some memories! It was always in my blazer pocket at school, and accompanied me on many adventures - I would use it to cut pegs for the snares I set when I sneaked out of the school grounds, and then use it again to skin and joint the resulting rabbits for cooking up in the brew-room. Carry one of these in school today and you'd probably get counselling, or a criminal record. That's progress for you. The knife was a present from my dad. As you can see, it had a hard life. The carbon blades got rusty and discoloured, the horn scales split and I mended them with Araldite, and I sharpened the main blade almost to destruction! One of the many useful lessons this knife taught me was about not cutting towards yourself. I was trying to cut a notch in a wooden box (part of an elaborate plot to spotlight and shoot a fox that was prowling round the pheasant pens) and foolishly held the box in my left hand while slicing with the knife in my right. Well, you can imagine what happened. The doctor put two stitches in it, and the scar is still there today! Over recent weeks I've been testing Musto's new merino wool vest. I've worn it in a variety of conditions, from the foreshore at Cellardyke, to a mild day on the North Downs in Surrey. I won't inflict a picture of me wearing it on you, so here's a photo of a merino sheep instead. Notice how warm and cosy the sheep looks. This is because merino sheep discovered long ago how to keep comfortable outside in all weathers. Us humans still can't get it right, and we keep turning to the petrochemicals industry for enlightenment - not always a good idea. When we encounter a problem, it's often a good idea to look around and see how nature has solved it. There's a whole science based around this - it's called biomimicry (or biomimetics), and it led to ideas like Velcro, termite-inspired air conditioning etc etc. The merino sheep grew its own woolly jumper, but not just any woolly jumper. Its wool is cunningly designed to be extra warm, comfortable and breathable. The wool fibres are extra long and fine. They have a complex structure with a hydrophilic centre and a hydrophobic exterior - so merino wool can absorb water without feeling damp. All in all, it's pretty clever stuff, and just the job for wearing when you're out shooting - or so the manufacturers say. So... is it all a sales yarn, or does the stuff really work? In short, yes. It was great. I own a variety of high-tech base layer garments made of poly-this and micro-that. They're all frightfully clever - but I hardly ever wear them. They just don't feel all that comfortable, to me anyway. They get too hot, or sweaty, or itchy, or whatever, particularly when I'm slogging up a steep slope. So I usually wear a cotton T-shirt as a base layer instead. Not ideal, at least in theory, but it works for me. I found the merino vest better still. It was warm and cosy in cold conditions when I was standing still. But, equally important, it stayed comfortable as it got warmer, and even when I was walking uphill with a heavy camera on my back, getting hot and bothered. Apparently merino isn't a good choice for watersports, due to its tendency to hold water. But for my usual mix of land-based shooting and fishing, I've found it great. I tend to grab it every time I'm off shooting now, in preference to my usual T-shirts. So it's probably a good thing that merino wool resists human body odour much better than synthetic materials too! I've been testing the Spot satellite tracker - a device you'd carry to call for help in an emergency out in the back of beyond. It uses satellites to locate your position. When you press a button, it sends an SOS to your predetermined emergency service (or wife, girlfriend, etc). It doesn't use the mobile phone system at all, so it works anywhere you get a clear view of the sky (not indoors, in a cave, etc). Sound good? If you need it, you'll know you need it. Deerstalkers and lone estate workers spring to mind, but I also know some adventurous fishermen and wildfowlers who could find it useful. The device is slightly larger than a mobile phone, with rugged styling a bit like the early Motorola PMR446 radios - bright orange plastic, with a thick ribbed black rubber strip around the bottom and sides. It has a simple plastic belt clip, and four buttons on the front with a selection of LEDs to tell you what's going on inside. So let's suppose you're setting off on some intrepid trip up the glen, away over the hill and beyond. You know your phone will lose signal after the first half mile, and the wife will be worrying herself sick before you're even late for tea. And even though you know she shouldn't worry, there is always the remote possibility you'll slip on a rock and break a femur. At which point it would be rather nice to know that help is on its way. Wait! You should have set up your Spot first. Fortunately the nice people at their PR agency sent me a detailed sheet explaining what to do, and telling me the pre-set login and password. So I was able to go to their website and change the settings for who to email in the event of me pressing the 'Help!' button. I tried to get it to send a text too, but UK Vodafone didn't seem to be an option - I was offered the USA or Germany, but could see nothing UK-based. Just have to hope my would-be rescuers are watching their email closely then. The device itself runs on two AA sized batteries, but not just any old AA batteries; this thing needs the lithium type (two supplied). I think if I was going to trust my life to it, I would buy a spare pair and carry them with me. Just in case. To insert the batteries you remove the back cover, using a couple of nifty screws with wire loops attached, handy if you don't carry a coin or screwdriver. The battery compartment, like everything else on this device, looked reasonably watertight. However I didn't chuck it in the pond to check, just in case the PR folks turned less than helpful and sent me a bill. The belt clip doesn't fill me with confidence. It's thin and bendy and, although there's a ridge at the end to stop it riding up off your belt, I still wouldn't want to trust my life to it. Any stalker worth his salt knows that you have to tie your knife on or one day it won't be there. Same goes for this; I'd tie it on. Trouble is, there isn't a decent anchorage point to tie on to, just one of those little slots for a mobile phone style wriststrap. Probably good enough, but again this is my life we're talking about. In fact I still haven't managed to access the 'track' mode. I've pressed all the right buttons, and it simply refuses to work. I suspect I need to sign up (and pay for) an additional service. What I have done, however, is use the single-shot 'OK' mode, which sends a single 'I'm here and I'm fine' kind of message to your chosen ones, together with a Google map link. If things go belly-up, you'd just press the next button along to raise the ante, with a 'Help!' message. Or if you've slipped into a pit of snakes and broken your leg and used up all your cartridges, presumably you'd swallow hard and go for the 'SOS' button, and watch the sky for the Coastguard, Mountain Rescue, SAS, or whoever is appropriate to your location and predicament. In use, I've found that the device isn't half as instantaneous as you imagine. I was out walking the dog and pressed the 'OK' button, then drove home and checked my email expecting to find a nice little Google flag on my favourite dogwalking spot. No, the ping had been delayed, presumably while the device picked up various satellite signals and then sent its message. The flag showed me in the car, 100 yards from home! Still, that wouldn't be a problem for your average intrepid adventurer, or mountain walker casualty for that matter. Will I be buying one? Honestly I'm tempted. It costs around £150, with an annual subscription of around £65. If I'd know about it when my daughter set off for her gap year, I'd have got one for her. It really comes into its own when you go beyond the reach of mobile phones, or will be unable to give a precise location (hand-held GPS would help here of course). For estates worried about their 'duty of care' to lone workers, I should think it's a must. I believe there are one or two similar devices coming onto the market, so I'll keep an eye out and see how they compare. See the Spot at www.findmespot.com. There's a similar looking device being offered by Scottish Communications here. 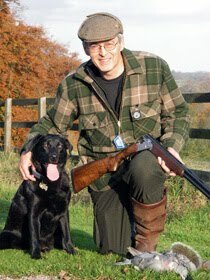 James Marchington is a freelance journalist, photographer and video producer specialising in Britain's wildlife, the countryside and fieldsports. 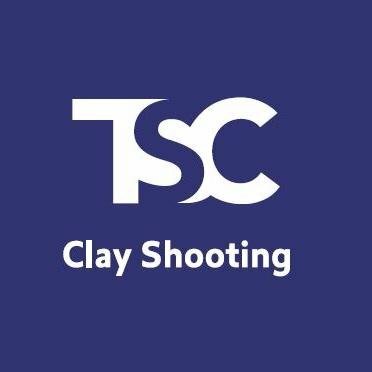 He is editor of Clay Shooting magazine, and also produces and manages the TSC Clay Shooting channel on YouTube. 'Freelance' means what it says - I'm always happy to talk to potential clients about writing, photography and video production. There's no obligation so you've nothing to lose - just pick up the phone and call for a chat.